IntakeQ's approach to security is designed to protect both you and your clients. Every year, IntakeQ's HIPAA Compliance Program is verified by a third party (Compliancy Group) to ensure that we are following the latest requirements. 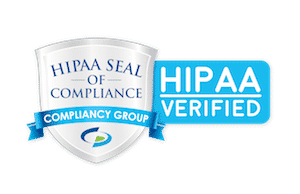 If you are subject to HIPAA as a Covered Entity or Business Associate (as defined in HIPAA) and use the Services in a manner that causes IntakeQ to create, receive, maintain, or transmit Protected Health Information (PHI) on your behalf, then you are subject to our HIPAA Business Associate Agreement ("HIPAA BAA"). If applicable, please execute a BAA with IntakeQ by logging into your account, navigating to "More > Account > BAA", and submitting your information. You will then be able to obtain a signed BAA from IntakeQ.